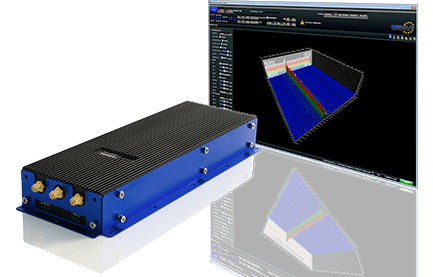 Aaronia spectrum analyzers stand for high quality, innovative design, intuitive software and high cost-efficiency. spectrum monitoring, EMC-tests or WiFi or wireless network checks - the Aaronia SPECTRAN analyzers are the perfect measurement tool for any task. 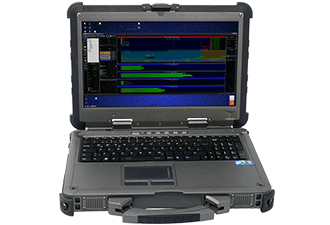 The portable spectrum analyzers of the SPECTRAN series stand out through their compact size, attractive prices, wide frequency ranges and the free, included analysis software. The SPECTRAN V5, for example, is the world's first and only handheld, real-time spectrum analyzer! 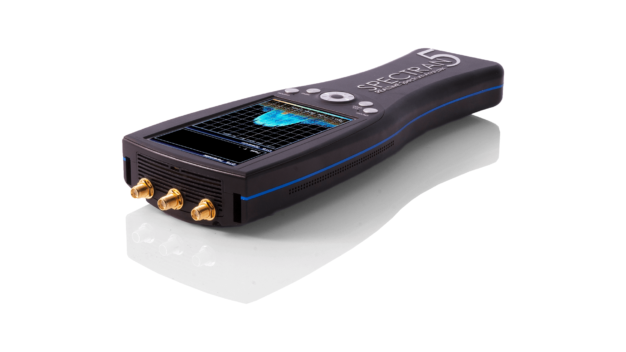 The V5 Handheld offers a real-time bandwidth of up to 175MHz, a POI under 1µS and an ultra fast sweep-mode. His weight of only 850g makes him perfect for any measurements on the go. 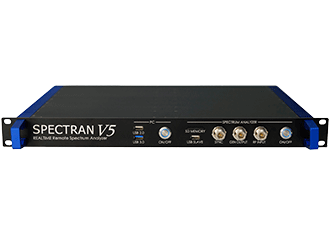 The included analysis software, the RTSA Suite PRO, transforms the SPECTRAN V5 into a fully functional desktop spectrum analyzer. 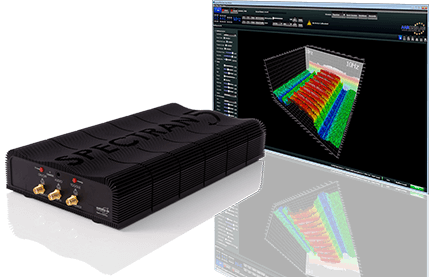 USB spectrum analyzers of the SPECTRAN X series include a free copy of our analysis software, compatible with Windows, MacOS and Linux. 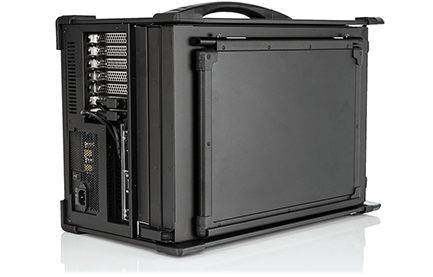 The high-quality aluminium case allows for passive, fanless cooling of the system. 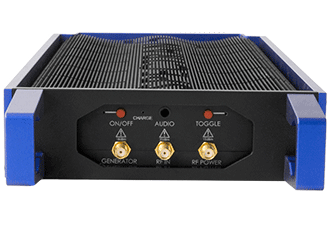 They are available in eight different versions, covering frequency ranges from 1Hz to 20GHz. 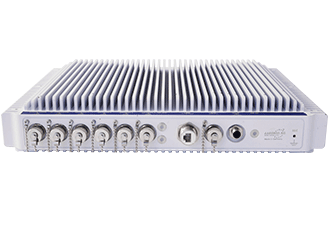 The most notable devices are the real-time analyzers of the V5 X series, with a real-time bandwidth of up to 175MHz which can be transmitted through a USB 2.0 connector. 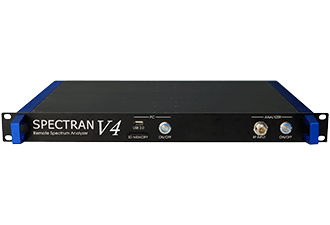 The SPECTRAN RSA is a series of remote controllable spectrum analyzers in either a 19" rack format or an outdoor, weatherproof case. 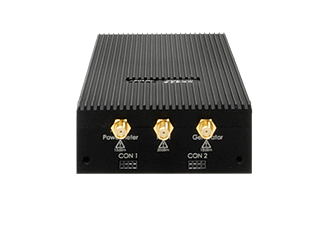 The series allows for the unlimited, remote measuring and recording of RF signals up to 20GHz. Eliminate the trips to difficult to reach locations and get full access to all your measurements remotely. Available as a sweep or real-time analyzer in a total of 11 different versions, all with passive cooling. ✚ 200Hz - 50MHz RBW. 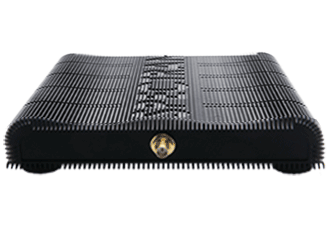 The SPECTRAN XFR series was developed with comfortable use in the harshest conditions in mind. Possible areas of application are military operations, counter surveillance, aerospace, mining operations, construction sites, research and development. The devices can withstand anything from pouring rain, extreme temperatures to extremely dusty or dirty environments. 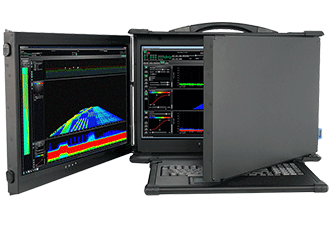 You can overcome any challenge with these spectrum analyzers. They offer powerful, rugged hardware. The laptops have an extremely bright Full-HD Touchscreen and an internal, high-end spectrum analyzer with a frequency range of up to 20GHz. 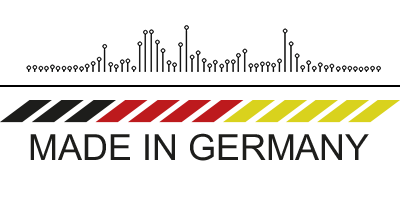 They have been independently tested and passed the MIL-STD-810G, IP65 and MIL-STD-461F standards. ✚ 1Hz - 3MHz RBW. 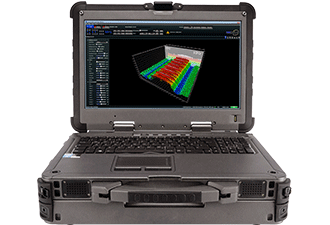 The SPECTRAN V5 Command Center is Aaronia's answer to the requests for a top-performance RF surveillance system. 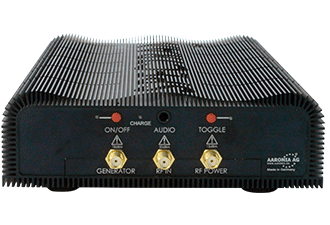 The Command Center is the most powerful and quick spectrum analyzer ever built by Aaronia and offers up to 350MHz real-time bandwidth, combined with a lot of hard drive space and the ability to record any measurement-data without any limits. A special, modified version of our software combined with the three bright Full-HD screens enable you to keep everything displayed and to notice even the shortest signals. 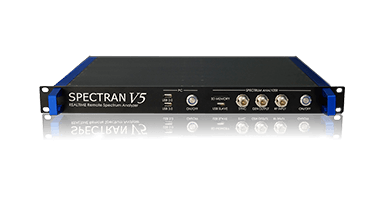 OEM & BAY versions of the SPECTRAN V5 designed for custom integration within existing systems, including an easy to use API and offering the smallest available size. Due to the low weight and the optional, integrated battery, the OEM version is easy to use on planes or drones. 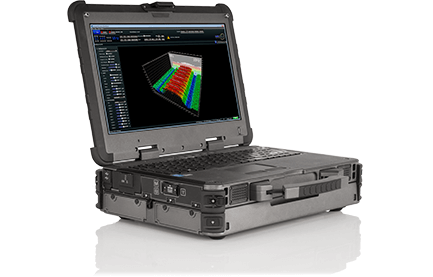 The BAY version fits any 5,25" drive bay and multiple units can used to create an analyzer-array. 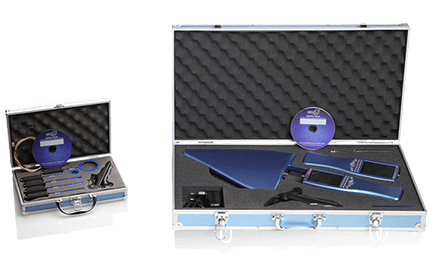 Our popular analyzer bundles combine all functions of the SPECTRAN spectrum analyzers in several packages with significantly discounted prices.